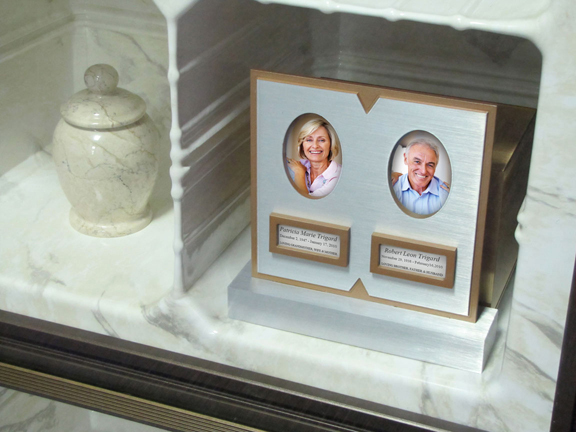 Our Façade personal memorials are a versatile tool for funeral homes and cemeteries. Did you know the smaller, keepsake size Façade fits most niche walls and towers? When a family chooses a lower-cost urn, offer them the Façade keepsake memorial. Place the urn on the deck behind the Façade and instantly add value to the niche-front display. Learn more about Façade or call 800.798.4900 to order your starter kit today. Planning a new cemetery section?